Emergent BioSolutions Inc. held a ribbon-cutting ceremony last week on May 10 to mark the formal opening of the company’s newly expanded Center for Innovation in Advanced Development and Manufacturing (CIADM) at its Bayview Campus in Baltimore. Dr. Rick Bright, director of the Biomedical Advanced Research and Development Authority (BARDA), and Daniel J. Abdun-Nabi, Emergent’s president and chief executive officer led the event, noting the milestone helps strengthen preparedness to rapidly produce medical countermeasures for public health emergencies. The facility is one of three centers designated by the U.S. Department of Health and Human Services to provide advanced development and manufacturing of medical countermeasures to support the U.S. government’s national security and public health emergency needs. Emergent has doubled the Bayview facility’s footprint to 112,000 square feet with investments to the original 56,000-square-foot facility purchased by the company in 2009. The facility, comprised of laboratory, manufacturing and office space, offers flexible manufacturing of drug substance from microbial, cell culture or viral production platforms and is equipped with disposable manufacturing technology to enable Emergent to meet the government’s domestic preparedness priorities on a cost-effective, reliable and sustainable basis. The new suite within the expanded facility is expected to come online with cGMP production capabilities in late 2018. Since its inception, the Emergent CIADM has been awarded four task orders by BARDA to develop Ebola and Marburg therapeutics and a Zika vaccine. 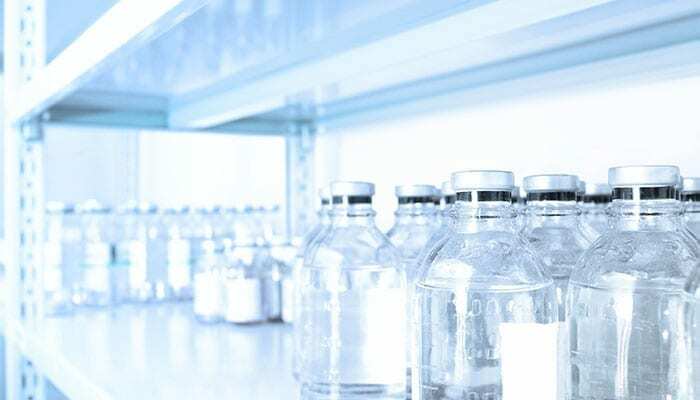 Emergent also successfully manufactured some of its product candidates at the CIADM and an Ebola vaccine candidate as part of a third-party collaboration. BARDA contract HHSO100201200004I, awarded to Emergent in June 2012 to establish a CIADM, consists of an eight-year base period of performance valued at approximately $220 million (cost-shared between the government and Emergent) and up to 17 additional one-year option periods. BARDA is a division within the Office of the Assistant Secretary for Preparedness and Response in the U.S. Department of Health and Human Services.